Meet the World’s Youngest Self-Made Female Billionaire: Elizabeth Holmes. Holmes attended Stanford University but dropped out at the age of 19 to start Theranos in 2003. Since then, Holmes has impressed investors with the potential commercial, military, and humanitarian applications of her idea. Holmes has also acquired a very impressive board of directors, including former cabinet secretaries George Shultz, Bill Perry and Henry Kissinger, two former Senators, a retired CentCom commander, a retired Navy admiral and a former director of the Center for Disease Control and Prevention. She has rapidly developed her company since 2003 and has notably partnered with Walgreens to build thousands of Wellness Centers for Theranos to carry out its testing. 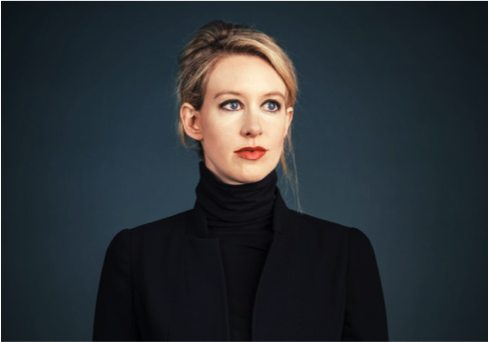 To date, Theranos has also accumulated $92 million in venture capital funding from investors like Larry Ellison and Draper Fisher Jurvetson with her first venture capital funding worth $5.8 million in 2005 at the age of 21. Holmes owns 84 patents to her name and Theranos is estimated to be worth $9 billion with Holmes owning half of its stock. Click here for a video about how she came up with her business idea. This entry was posted in Healthcare, Leadership, Women Entrepreneurship, Women in Leadership and tagged business, business trends, Entrepreneurship, Healthcare, STEM, venture capital, women entrepreneurs, women-owned business by Annie Wilson. Bookmark the permalink.